There are plenty of Iceland hot springs and pools to visit. 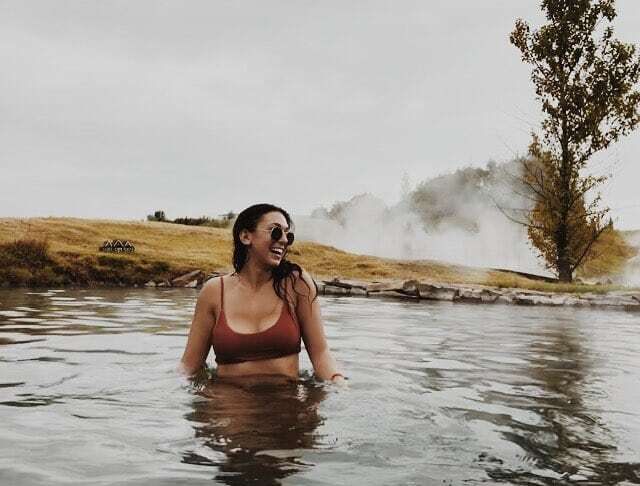 The natural and man-made geothermal pools Iceland has to offer are well-renowned and easily a top-rated favorite among travelers. Nothing beats soaking in warm, bubbly water with a crisp breeze in your face and a cold beer in your hand. 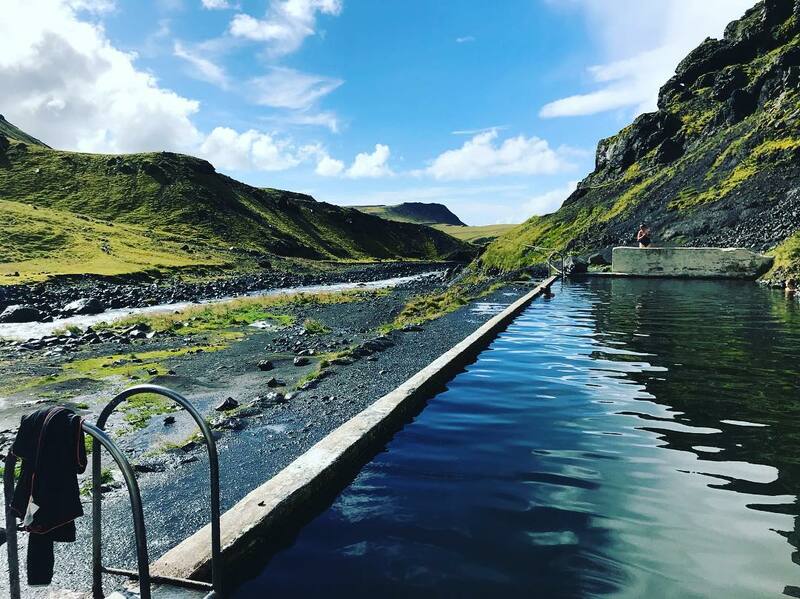 Below you can find four of our top favorite geothermal pools in Iceland, what you can find there, and how you can reach each destination. Additionally, you can find coordinates to each hot spring. Simply enter the coordinates into your GPS and you will be on your way to your hot pot. Photo credit: kimlindasabine on Instagram. 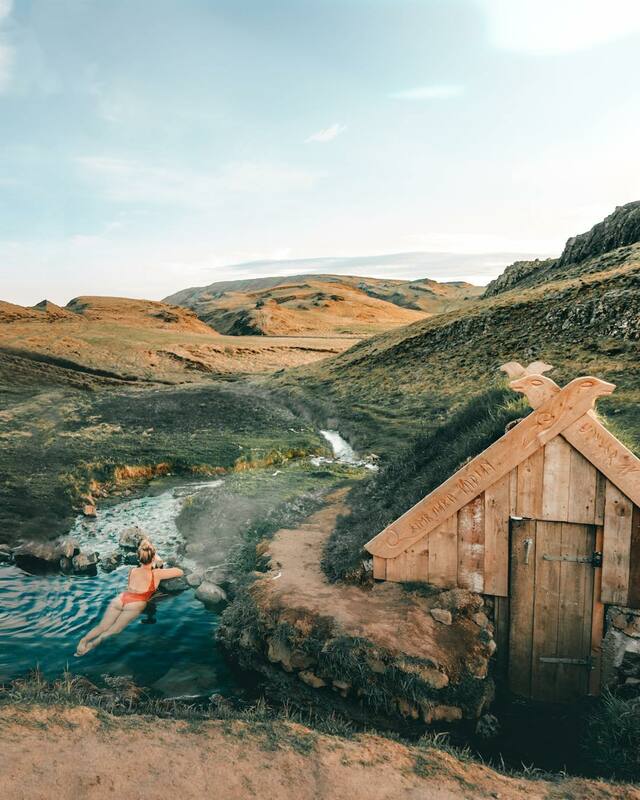 The Landbrotalaug hot spring is one of the small hidden gems that Iceland has to offer. 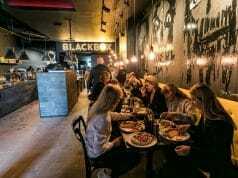 Secluded in the Snaefellsnes peninsula, the Landbrotalaug hot pot is around a one and a half-hour drive from Reykjavik. What makes this spring unique is its tiny size and how it fits only two to three people. When a lot of people visit the site, it’s not uncommon to see a line waiting to hot pot. Try to visit early in the morning before other visitors arrive in order to enjoy the quiet, nature around you in the small, secluded spring. If you’re lucky, you can catch it while it’s empty, and soak in its roughly 100°F-degree water. The GPS coordinates for the Snaefellsnes spring are N64°49.933 W22°19.110. If you’re traveling from Reykjavik, you will drive on one main road and pass by the Edlborg Crater. After passing the crater, you will find an abandoned farm on top of a hill. This is where you will stop and park in the middle of a field, and see a sign that displays “Heit Laug Hot Spring.” You will then approach a pond with two hot springs, one of which is the Landbrotalaug, with a rock wall sitting behind it. The Gamla Laugin, also known as the “old swimming pool,” is a hidden lagoon that sits beside geysers and a long, beautiful river. “The Secret Lagoon” is popular among hot-potters due to its large size and the breathtaking views all around it. It is a natural pool surrounded by many hot springs, which provide it with fresh, hot water to soak in. Additionally, there are showers, dressing rooms, an eating area, and a bar available on-site for visitors to utilize. It is spacious, soothing, and has sand at the bottom of the pool to relax your feet in. Like the Landbrotalaug, its 100°F-degree waters and gorgeous views make for an absolutely magical experience. The GPS coordinates for the Gamla Laugin spring are 64.1374° N, 20.3094° W. It is located in the small village of Flúðir, an hour and a half-drive from Reykjavik. Simply get on route 49/Vesturlandsvegur from Bíldshöfði, then follow Þjóðvegur 1, Suðurlandsvegur and Route 1 to Skeiða- og Hrunamannavegur in Suðurland. After the roundabout, follow Skeiða- og Hrunamannavegur to Hvammsvegur in Flúðir, and you will arrive in the town of the Secret Lagoon. The rural town also has an Ethiopian Restaurant, Minilik, if you’re hungry and want a delicious meal while you’re in Flúðir. Photo credit: saltinourhair on Instagram. Similar to the Secret Lagoon, the Hrunalaug is also based in Flúðir. It is a smaller option for Iceland hot springs, surrounded by old stones and gorgeous, rolling hills. The quaint hot spring has relatively shallow water that makes for the perfect place to dip and relax. Hrunalaug sits on private property where visitors often meet the landowner, and there is an on-site cabin for visitors to change. The atmosphere is clean and soothing; with no algae and bubbles rising from under the water, it’s extremely comfortable and considered a favorite by many hot-potters. Photo credit: x on Instagram. Seljavallalaug is deemed one of the oldest swimming pools in the entire country. It is a common misonception that Seljavallalaug is the oldest hot spring, but it’s technically one of the oldest man-made hot springs. It is an 82-foot-long pool in a concrete structure with a phenomenal view of the craggy valley’s landscape. While the concrete structure consists of four, man-made rock walls, the water flows in from a natural hot spring. Unlike the other hot pots, this one has no entry free, and is supported by donations and volunteers, so it is important that visitors are courteous and clean up after themselves. The spring also offers on-site changing rooms right behind the pool. The GPS coordinates for the Seljavallalaug hot spring are 63.5655° N, 19.6079° W. This is a roughly two-hour drive from Reykjavik. You can reach this pool by traveling Route 242, which is on the left side of Route 1. This is right after the Eyjafjallajökull Erupts family-run museum. After continuing down Route 242, you will find a sign that displays “Seljavellir.” You will then be able to park your car and walk down the valley to reach this pool. 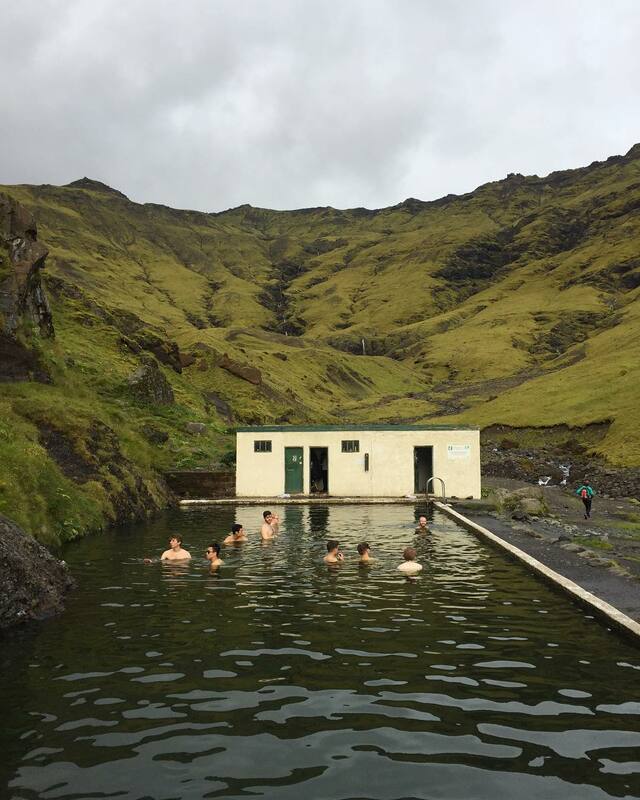 It is important to note that the volunteers and landowners that run these hot springs insist that visitors clean up their trash and contribute to the preservation of Icelandic hot springs. 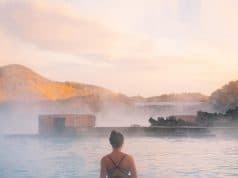 There are so many benefits to Iceland hot springs. The natural, hot water from nearby springs make it easy to unwind and put your mind at ease. It is an unforgettable experience encompassed by breathtaking views and is often sought out by both newbie and veteran travelers. 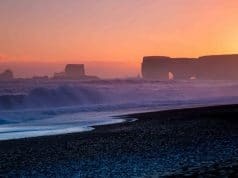 When you visit Icelandic hot springs, you support Icelandic communities, and the country’s stunning, unique nature. This article was a guest post from Hannah Fortney of Need Nintendo.